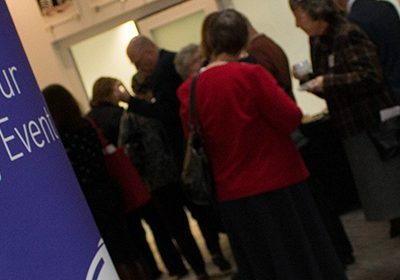 Stratford Town Trust is proud to be funding an innovative pilot mental health service, for individuals aged 16 and over, which has been launched in Stratford upon-Avon GP practices. Patients who are experiencing mild to moderate mental health problems will be referred to this service, called Active Monitoring. 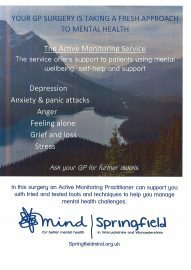 Active Monitoring is being funded thanks to a special £143,000 grant from Stratford Town Trust and will be delivered by Springfield Mind, a local mental health charity based in Stratford-upon-Avon. Stratford GPs will be able to refer their patients directly to this service as soon as they present with common mental health needs including stress, anxiety, depression and low self-esteem. Patients will then benefit from five face-to-face sessions of guided self-help with a trained Springfield Mind practitioner delivered from within their GP practice. The practitioners will be working in the four GP practices between 8am and 6pm from Monday to Friday each week. Anyone interested in this service should ask their GP for further details.